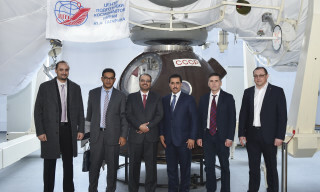 On February 15, the GCTC was visited by the delegation of the Italian Embassy, headed by the Italian Ambassador in Russia Pasquale Terracciano. 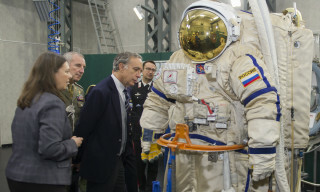 During the visit, the development of cooperation between the Italian Air Force and the Cosmonaut Training Center was discussed. 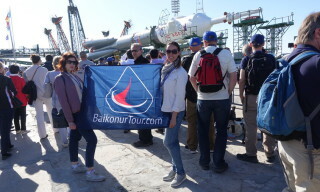 During the excursion, Pasquale Terracciano and the embassy staff visited the halls of "Soyuz" spacecraft, Russian segment of the ISS, Space Center, "Exit-2" simulators and the "CF-18" centrifuge. 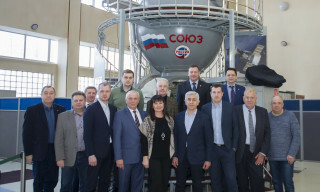 The management of the GCTC, under the leadership of the head of the Center Pavel Vlasov, met with the delegation of the Moscow Aviation Institute (National Research Institute) (MAI) under the leadership of Rector Mikhail Pogosyan to discuss the possibilities and areas for further cooperation. 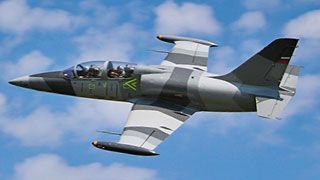 The main objective of the meeting held in the GCTC was to increase the level of training, conduct joint research and improve the training and test base. As a result of the meeting, it was decided to establish working groups for the development of a “roadmap” of cooperation. 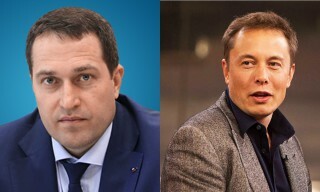 MAI is a leader among civilian universities in the number of graduates, who have become cosmonauts and specialists in the rocket and space industry. 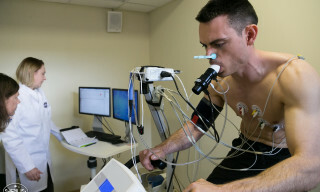 After passing the theoretical exams, the ISS crew started practical tests on simulators. 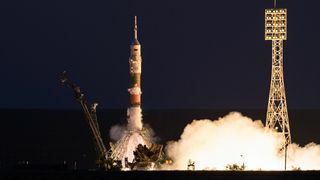 The commander of the "Soyuz MS" spacecraft Alexey Ovchinin successfully passed the exam on a specialized simulator "Teleoperator", the purpose of which is to work out the modes of manual telecontrol of the approach and docking from the ISS of the transport cargo ship"Progress MS". 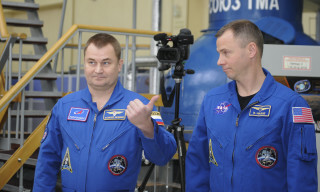 And today, the ISS crew members-Roscosmos cosmonaut Alexey Ovchinin and NASA astronaut Nick Hague passed the exam on the "Don-Soyuz" specialized simulator, where one of the main elements of the crew's practical training for the flight takes place. he Institute for Biomedical Problems of the Russian Academy of Sciences continues preparations for the SIRIUS-19 international isolation experiment. IRIUS-19 simulates the flight of a crew of six people to the Moon, followed by circling and searching for a landing site, landing four crew members for surface operations, staying in the Moon’s orbit to receive transport ships and remotely controlling the lunar rover to prepare the base and then returning to Earth. On January 28, the RD-180 rocket engine was successfully tested in the Scientific Testing Complex of NPO "Energomash" JSC. 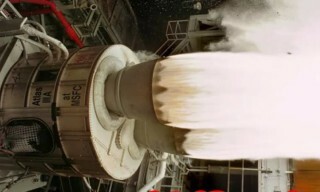 The liquid-propellant rocket engine RD-180 was developed and produced by NPO "Energomash". The engine designed for use in the US "Atlas" family of launch vehicles. 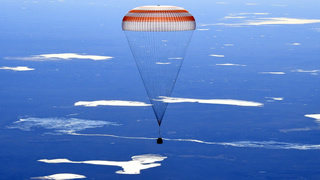 The training of cosmonauts and astronauts on the actions after landing in a wooded area in winter starts in Star City. 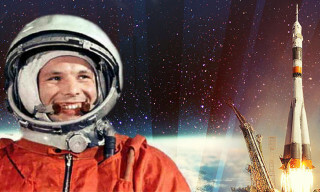 The task is to spend two days in the forest in conditions, close to those, in which the crew of the "Voskhod-2" ship (Alexei Leonov and Pavel Belyaev) were in March 1965 In total, this time in the GCTC will be "winter survival" of seven crews. The training is conducted by the GCTC test and training team, which consists of instructors, doctors, psychologists and other specialists.